I often refer to the question of privilege in these pages, so I thought it would be helpful to spell it out. Of all that I have written, this is the one essay I would encourage you to print out and discuss with your friends. 1 – Privilege is first of all the assumption of basic safety. Most whites are privileged to not have to live every single day either in mourning or in fear of the police, to freely allow their children to play with toy guns, to expect to die in old age before their children do. Whites are privileged to not be perceived by medical professionals as being insensitive to pain and thus be under-treated. This assumption has a shadow side: the privilege to irrationally fear those who have little power and are not serious threats to one’s safety. 2 – Privilege is the advantage of having views that define the norm for others. It tells whites that their experience is objective, universal and “non-racial,” while blacks can only represent their own racialized experiences. We speak of “African-Americans,” but never of “Euro-Americans.” Language, more than law, reveals who is part of the polis and who isn’t. Whites are privileged to visualize a god with white skin. 3 – Privilege allows white people to universalize, to claim that “black people are also prejudiced,” to claim that racism is fluid, one day (or era) benefitting whites and another day benefitting blacks. 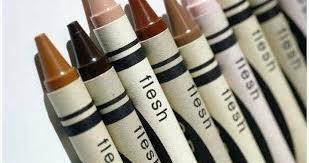 While the notion of individualism declares that we all need to see each other as individuals (everyone is different), the privilege of universalism declares that we all need to see each other as human beings (everyone is the same) and subtly functions to deny the significance of race and the advantages of whiteness. Simultaneously, whites learn that they are individuals and not part of a racially socialized group. 4 – Privilege allows whites to “individualize,” to view themselves as as unique and original, unaffected by the relentless racial messages in the culture, able to distance themselves from other, “bad” whites. Seeing themselves as individuals outside of race frees whites from the psychic burden of race in a wholly racialized society. Race and racism become “their” problem, not “ours.” Whites are privileged to invoke these seemingly contradictory discourses – either we are all unique or we are all the same – interchangeably when it suits their purposes to do so. 5 – Privilege assumes some of the most fundamental – yet unexamined – aspects of American mythology. It allows conservatives to blame the poor for their own condition, to judge social welfare programs as “unearned income” and to identify their own prosperity as reflecting only hard work and virtue, while ignoring the reality of inherited capital and generations of structural inequality. It allows liberals to see blacks as “underprivileged” without seeing themselves as “overprivileged,” It convinces poor whites to favor cultural advantages over economic interests, to identify as white rather than as poor, to support demagogues rather than progressive politicians. 6 – Privilege allows whites to confuse responsibility with guilt. If “…my ancestors didn’t own slaves, then I’m not guilty of anything, and I don’t have to do anything to transform the system.” Rejecting guilt, they also reject the responsibility to understand how slavery’s legacy offers them privilege. It allows them to deny that racism is ultimately a white problem and that the burden for interrupting it belongs primarily to white people. 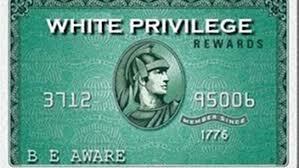 7 – Privilege allows whites to personalize rather than systematize, to ignore history and its consequences for the present, to have selective memory, to “remember Pearl Harbor / the Alamo / 911 / the Confederacy,” etc, while admonishing minorities to “move on, not dwell on the past.” Rejecting personal responsibility on race, they are privileged to demand that minorities accept such responsibility on economic matters (“Take care of your own needs without expecting government help”). 9 – Privilege allows whites to choose to segregate themselves, to assume that “good” neighborhoods and “good” schools are euphemisms for “mostly white,” that the quality of white space is largely measured by the absence of people of color. 10 – Whites are privileged to choose when, how and how much to address or challenge racism. In such discussions, they are likely to use the language of self-defense, to position themselves as being attacked – and thus as superior – to blame others and to demand more social resources such as time and attention. Indeed, whites believe that they are victims of racism more often than blacks! And they commonly react to evidence of white privilege by claiming greater personal hardships. 11 – Whites are privileged to invoke “fragility.” Since they rarely need to build up the cognitive or affective skills to allow for constructive engagement across racial divides, they often experience “white fragility” when forced into such conversations. Privilege allows them to respond in ways that function to restore their emotional equilibrium: resistance toward anyone who triggers their reaction, shutting down and/or tuning out or indulging in emotional incapacitation. They may say that they don’t feel safe, when in fact they simply don’t feel comfortable. This stance trivializes and perverts the reality of history – addressing blacks about safety allows them to ignore what it means from a position of societal dominance. Complaining about safety when merely talking about racism is a way to refuse exploration of alternate racial perspectives and to reinforce their unexamined white perspectives as universal. 13 – Whites are privileged to react to the news with selective empathy, to ignore the daily violence perpetrated against people of color and only feel sadness when whites are victims. Some may speak of toxic, violent masculinity, since almost all shooters are male. But selective empathy allows most of us to ignore the fact that almost all mass shooters are white males. 14 – Ultimately, privilege allows whites to not think about privilege. It allows one to not have to think about race every day, not be perceived as either hyper-sexual or lazy, not be racially profiled, not assume that in driving through certain areas one will be stopped by an officer inquiring as to one’s intent, not be viewed with suspicion when shopping, not have the media consistently over-report the criminal behavior of one’s ethnic group, not be unfairly treated when buying a home, not have to work twice as hard to prove oneself, or not be denied job interviews. It is the freedom to be an ex-convict and be called back for a second job interview at the same rate as blacks with no criminal record. It is the freedom to avoid being stigmatized by the actions of others with the same skin color. It allows white politicians and professionals to not have to transcend racial stereotypes. It allows one to not worry that an officer will shoot when one’s hands are up.